This award winning ring is a real statement piece. 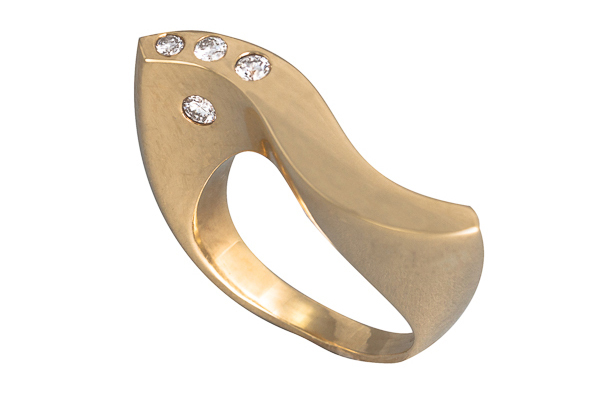 Made from solid 18ct yellow gold and sits comfortably on the finger on its own or stacked with other rings. This ring is also available in sterling silver with cubic zirconia.